Celebrity marriages – all eyes are upon them and they are constantly under strain to be as perfect as they can be. There are no secrets that are kept from the public eye. With everything out in the open for all to see and scrutinize, the additional stress of their careers is another factor that puts extra strain on their relationships. Needless to say, nobody is surprised to hear of two celebrities going their separate ways after a short lived but passionate romance. It’s hard to ignore really as magazines and newspapers are eternally plastered over with news of such dramatic outbreaks. We are fascinated by celebrity news and this is especially true when it comes to their relationships, the glamour and the excitement of it all carrying us away. Their larger than life personalities immense wealth, fame and dazzling good looks may set them leagues apart from us ordinary folk but in most ways, they are just like us and it is this similarity that we are mostly keen to see. Although we may criticize them for doing what they do musing over how over the line they are and how we would never act the way they are, we cannot help but empathize. They are the faces we see on TV, the characters that we encounter in films and the truth is, we relate and this is why we are so curious. They say that you can always learn from other people’s mistakes. So while we satiate our curiosity, there are many things that we can simply learn while we are at it thus adding something to our lives as well. Because after all, when you take off the makeup, the glitzy clothes and the million dollar mansions, what remains are human beings desperate for some love and human connection – just like you and me. The moment when Tom expressed his undying love and affection for Katie Holmes at the very early stages of their relationship, we were all a bit awed. But from the very beginning itself, a careful observer could see that the relationship was doomed. For starters, Tom was 46 and Katie was 26. This is a major gap that is bound to come between them sooner or later. Add to this their religious differences and Tom’s history of relationships in the past, things did not look too promising for the couple from the start. They are the couple that everybody had been swooning over – an indomitable woman with a larger than life personality and her equally intriguing man – and this is also the couple that if they went their separate ways would break many a hearts as well. But news of trouble in the heavens has reached our ears as there are rumors of the couple’s separation due to career issues. With six children on tow and a booming career in front of both of them, life must be pretty hectic for the two of them. In such cases, stress often gets the better of the best couples there are under the sun. There are also reports that Jolie’s health issues are due to the couple’s failed marriage. 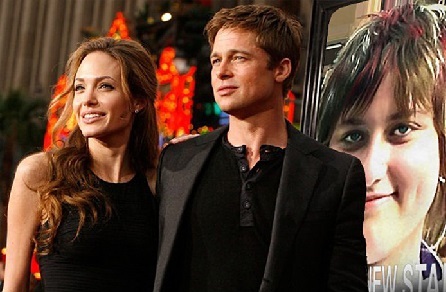 While all this is going on, rumors of a cheating Brad Pitt has further infuriated the crowd. The situation gets all the more confusing when the couple announces that they plan to adopt another child. The above are two very different couples but the fact of the matter is, it does seem like stress is the silent killer. 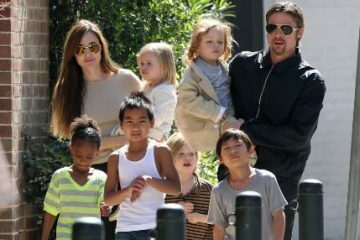 Angelina and Brad are stressed over their respective careers plus the added six kids to look after a while for Tom and Katie, the stress of becoming pregnant and shouldering a new responsibility before marriage seems to have taken their focus away from their growth as a couple. Add to this the disapproval of the parents, age and religious differences, it would not have taken long for the heat and the infatuation of the early stages of the relationship to wear off. Previous ArticleClinton Vs Trump – How do they score?